I’m obsessed with maps. I guess the standing reason is that they represent adventures and travel. Also…. metaphorically, finding your way. There’s just a certain charm in maps. 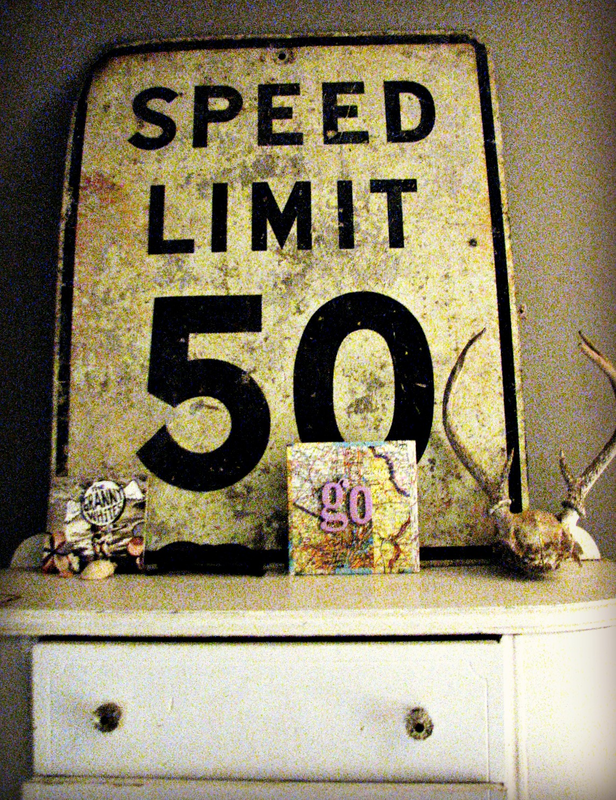 And I’m dying to find a vintage-y world map and make a reclaimed wood sign out of that….. it will happen. One atlas page. any state you choose. you might prefer one with some meaning.. ie. homestate, vacation place, honeymoon state… ect. Trace the block of wood onto the map OR. measure it. Cut out a square piece of map the SAME SIZE as the wood. Brush modpodge onto the wood and apply map. smooth it out with your fist. rub. rub. rub. Cut out 4 strips of wood the same width and length as the top, sides, and bottom of the block. MAKE THEM JUST A HAIR LARGER. MEANING ENOUGH BIGGER THAT THEY CAN FOLD OVER THE FRONT OF THE SIGN A LITTLE BIT. Lay sign on it’s back and do the same thing to the bottom with the last strip of map paper. Mod podge the front of 1 G and 1 O. Quickly apply glitter to the letters. Let dry. Hot glue these 2 letters to the center of the sign. Hot glue two more letters (with out glitter) to the top of those two letters. (CREATING A THICKER “GO”) you can now see glitter but it’s sort of playing peek-a-boo and isn’t very bold. Sprinkle a little bit of glitter around the word. 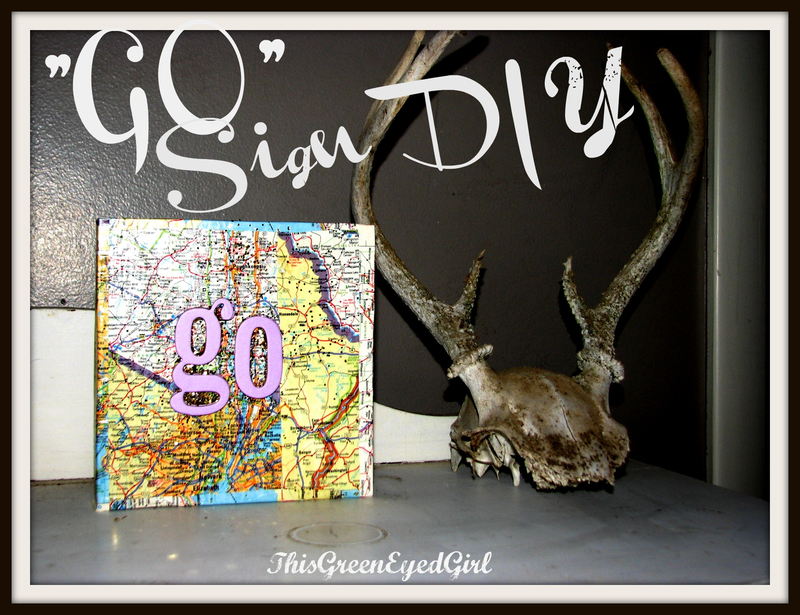 Add more mod podge to do this if needed. p.s. Sorry for poor photo quality… the lighting in this room is super rough for taking pictures.